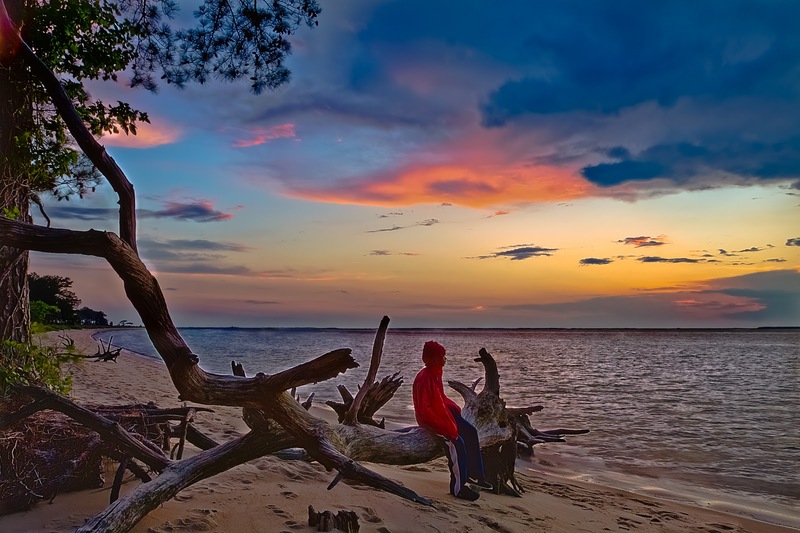 Young Joshua considers his state of affairs before a beautiful setting sun on the beach at Roaring Point in Waterview, MD. Captured with a Canon 50D on a tripod, a seven image set recorded in Raw format was loaded into Photoshop 5 after noise and chromatic abberation correction using Adobe Camera Raw. PS5's "merge to HDR" was used to combine the exposures. Further processing in PS5 and Lightroom 3 yeilded the final result.